While not all two component polyurethanes are equal in composition and performance, as a class, they are considered the gold standard for liquid coatings. Their excellent appearance and durability make them a popular finishing choice for a wide range of products and substrates. The cost of two component polyurethane ranges from $75 to $150 per gallon depending on the color. Although more expensive than one component enamels, 2K polyurethanes are often more cost effective because of their superior gloss, color retention and excellent durability. Additionally, saturated colors – bright reds, yellows, blues and greens – can be made by intermixing high-hiding bases that require fewer coats or less film thickness for full coverage, which reduces material and labor cost. Carbit Paint in Chicago supplies CARBITHANE, a two component acrylic polyurethane, in standard (see Industrial Color Card) and custom colors using its proprietary intermix system. Whether you need a gallon or a drum, a red or a blue, a satin or a gloss, Carbit can provide the solution. Author: Bob Lyons, Carbit Paint Co.
Manufacturers of metal machinery, pipes and valves have long forgotten the days of Henry Ford; who produced cars in any color as long as they were “black”. Today, manufacturers of all types are expected to produce products in a wide range of colors to meet the particular needs of their customers. The explosion of color availability was made possible by the development of tinting systems. These systems add exact amounts of liquid colorants to bases designed to produce a wide range of colors. Tinting systems are widely used in architectural paints because of their versatility. Any quantity of a color – quart, gallon or five – can be tinted in the paint store. 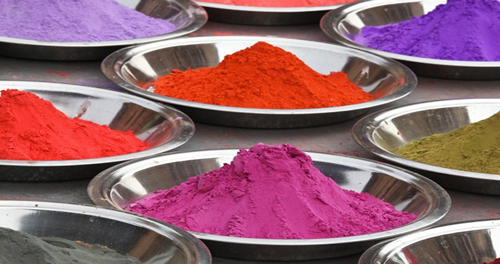 Prior to the introduction of tinting, color was achieved by adding dry pigments in the paint factory to produce what is known as “factory-mixed” or “ready-mixed” colors. They frequently have better coverage than tints, particularly saturated yellows and reds. The addition of dry pigments can add to the overall durability of the coating. For example: resistance to fading and corrosion. Factory mixed colors reduce the possibility of color inconsistency between containers. There are paint manufacturers, like Carbit Paint in Chicago, that specialize in supplying factory mixed colors on a made-to-order basis. These manufactures produce alkyds, acrylics and urethanes in small batch quantities, as little as 25 gallons, to meet the need for color variety without losing the benefits of factory mixed colors. October 1 - RUST INHIBITORS PROTECT PARTS IN STORAGE OR TRANSIT. © 2014 Carbit Coating Solutions.